Anne Campbell is an award-winning author of six collections of poetry and of popular non-fiction. Readings of her work, workshops, and musical compositions with Victoria’s Tom Schudel have taken her across Canada, the USA, and Britain. Her many awards include the City of Regina Writing Award, the Mayor’s Arts Award, and the Mayor’s Heritage Award. In her work at the Regina Public Library, Campbell administered Canada’s first public Writer-in-Residence program. Bring a summer poem to open mic, in celebration of Summer Solstice! Five Island poets (known as the Bellingham Five) – Susan Alexander (Bowen Island), Terry Ann Carter (Victoria), Richard Osler (Duncan), Barbara Pelman (Esquimalt), and Linda Thompson (Port Alberni) journeyed to Bellingham, Washington in 2017 to read a series of linked poems. They had arranged beforehand to connect a couple of their own poems to the poet before them, in a linked cycle of themes. Wonderful and surprising juxtapositions arose from these connections. Their reading on June 22nd is a reprise of their work. Susan Alexander is author of The Dance Floor Tilts (Thistledown Press, 2017). Her poems have received prizes and appeared in several literary magazines. Poet and paper artist, Terry Ann Carter, is the author of four collections of lyric poetry and five chapbooks of haiku. Her book Tokaido (Red Moon Press) won the Touchstone Distinguished Books Award 2017. 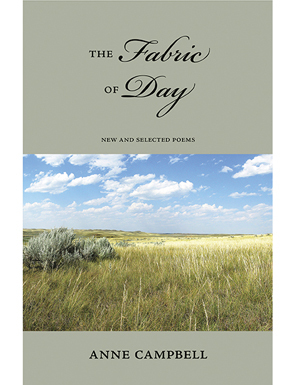 Richard Osler, a 1951 summer solstice baby, still cherishes long-lit summer days and now reads and writes poetry to lengthen his days all year long. Barbara Pelman, a retired English teacher, and poet recently won the Malahat Review Open Season Contest. She has three books of poetry, including Narrow Bridge (Ronsdale Press, 2017) and a chapbook. Linda K. Thompson writes from her treehouse in the shadow of the Beaufort Range. She pins her puny, homesick characters against this walloping landscape.